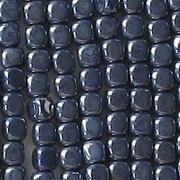 Opaque navy blue with a luster coating. An occasional bead may be misshapen. 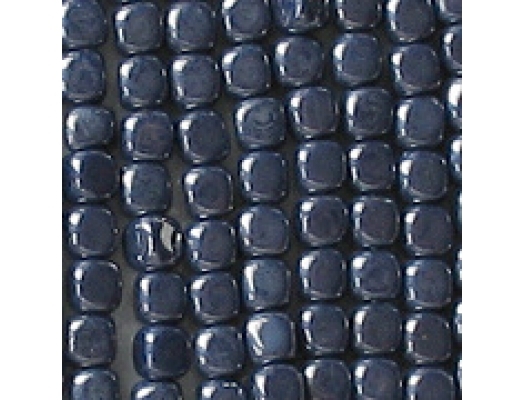 The picture makes these beads look mottled, but when I look at the actual beads, no mottling is evident. 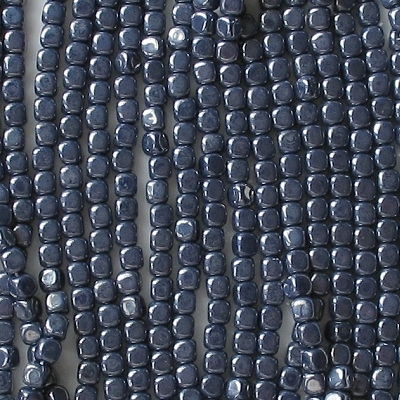 The actual beads may be a little lighter than the picture indicates.